Piñata Party Game is an ingenious way of making a traditional piñata safe, easy and fun! The controller stands safely behind the canvas viewing the players through the small window. By pulling the lever, the controller can safely move the piñata up and down. 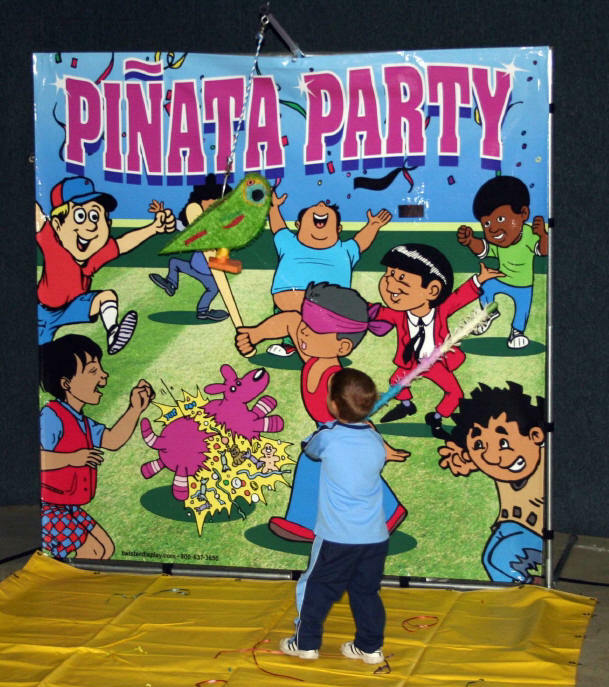 The Piñata Party Game comes complete with 7'x7' steel frame, colorful canvas, and wheeled carrying case.